The AP2 Ultra can accommodate a wide variety of sheet sizes, punch styles and paper stock, making it the right choice for the on-demand environment. It punches intermixed index tabs and irregular sized covers with ease. Die sets can be changed quickly and without any tools. Continuous load and unload from the same position. Output stacker maintains job collation without a turn-over device. Edge guide adjustment knobs allow sheet size change effortlessly without tools. 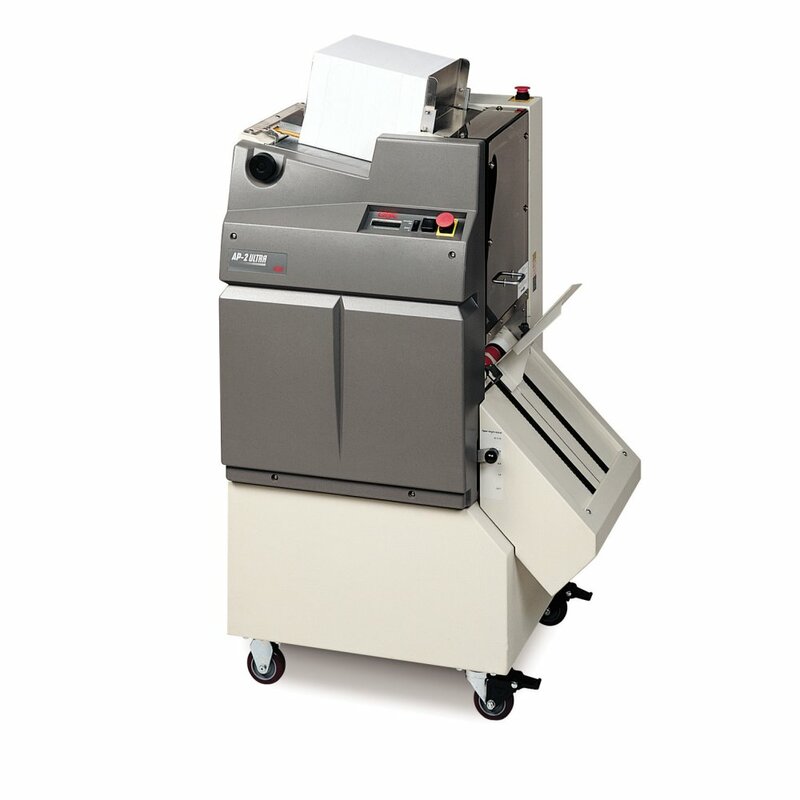 Variable speed control and adjustable pick feeder to accommodate various paper stocks. Electronic adjustment for heavily curled stock. The LCD Display shows machine status at all times.